In these ways, the ceremony had the marks of a traditional graduation. In most ways, however, the ceremony was as unique as each student’s one-of-a-kind journey through an ISTP education. 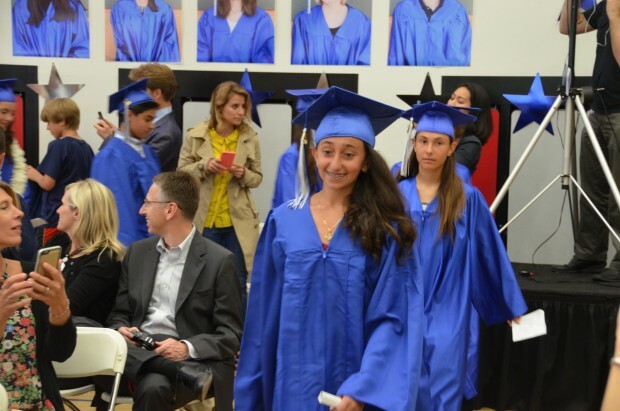 To begin, only an ISTP graduation has three featured speeches – one in English, one in Chinese, and one in French! 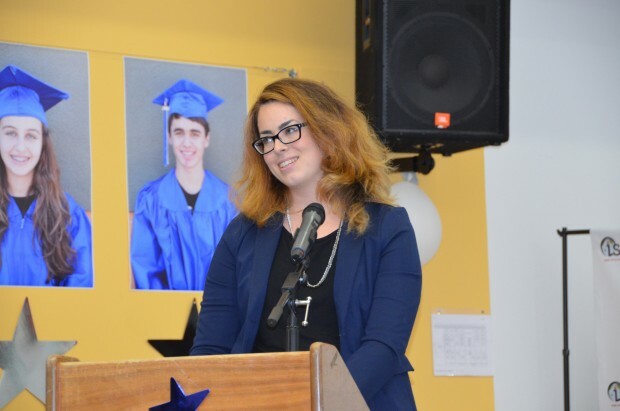 Another special feature of an ISTP graduation is that each student delivers his or her own farewell speech, addressing the audience fluently in at least two, or in some cases three or more languages. One theme from the night stood out – that an ISTP education is a special, singular experience. 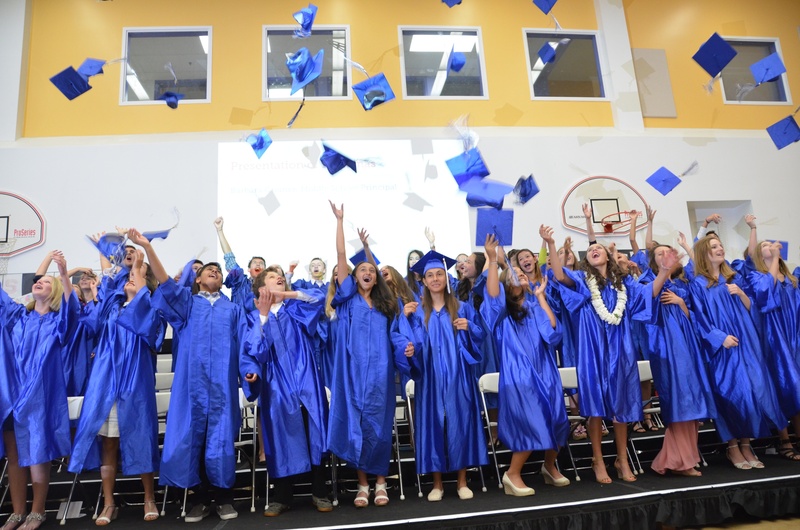 Shared adventures, challenges, and triumphs forged this year’s graduating class into an exceptionally tight-knit, supportive community of students. 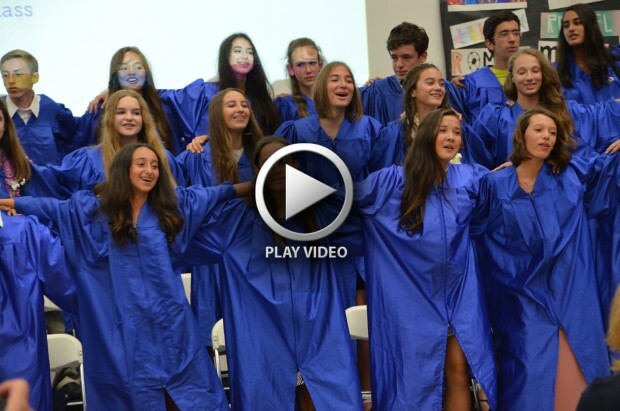 During their speeches, students reflected on the deep bonds they had formed in the 11 years of their nursery – 8th grade bilingual immersion education. 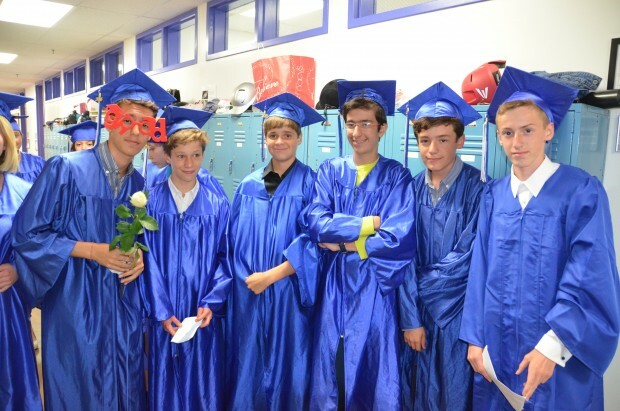 They thanked their parents and friends for their support as they made their way through the International Middle School’s very rigorous curriculum. Many also expressed gratitude that they had been given the opportunity to become bilingual and to receive such an outstanding education. However, every ISTP graduation is a bittersweet affair, because our students will be moving on to high school, leaving their class and teachers behind. 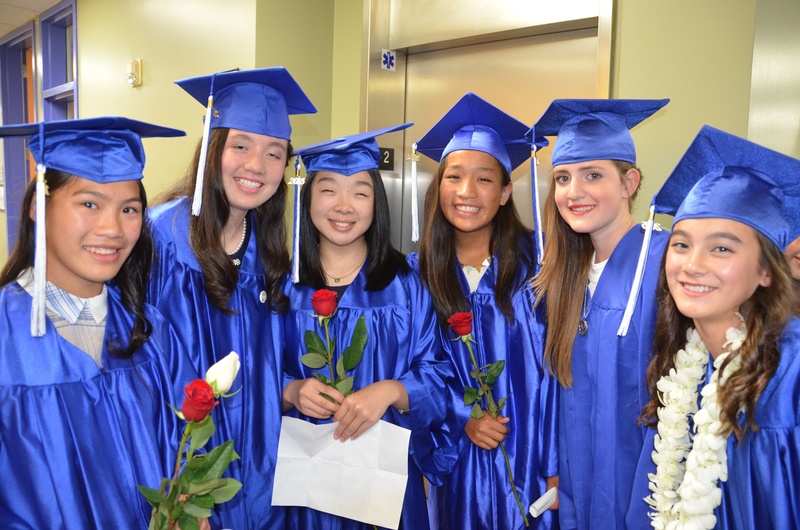 Before students received their diplomas, Middle School Principal Barbara Greiner recognized five students for their outstanding academic records: Marianne B., Ariana P., Katia R., Remi S., and Maya T. Nicholas S. was also recognized for his outstanding citizenship, for showing respect and kindness to all during his time at ISTP. International High School, St. Francis High School, Palo Alto High School, Foothill High School, Lycée Français de San Francisco, Bellarmine High School, Fremont High School, Mountain View High School, Sacred Heart Preparatory, St. Ignatius High School, Crystal Springs Uplands School, Sequoia High School, Lycée Français de Los Angeles, Homestead High School, Los Gatos High School, Gunn High School, Notre Dame High School, Franklin (Paris) High School, Lycée Français de Madrid, Woodside High School, Aragon High School, Carlmont High School, Menlo School, and Nueva School. Watch the video below for a few highlights of the evening!